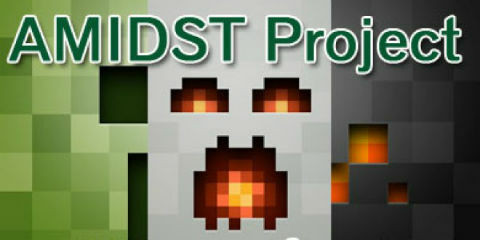 AMIDST is designed to help enhance the process of finding structures, biomes, and players in minecraft. By accessing your minecraft files, it’s able to draw the biomes of the world out and show where points of interest are likely to be. Load map data from different versions of Minecraft. Show modifications to the world. Give information on individual blocks. Fixed issue where some Mac OS X users would not have their window refresh. Fixed loading from amplified worlds. Fixed the map jumping around when a menu was opened. Selecting the default profile will now attempt to load 1.7.2. Adjusted the organization of some menus. Added 1.7.2 to official version list. AMIDST will now only load the libraries specified by the selected version. Added support for biome color profiles. An explanation of this will later be added to the wiki. Until then, please use check the latest forums posts or ask around. Basic wiki page added to BitBucket here. Mac OS X version now launches with extra memory.